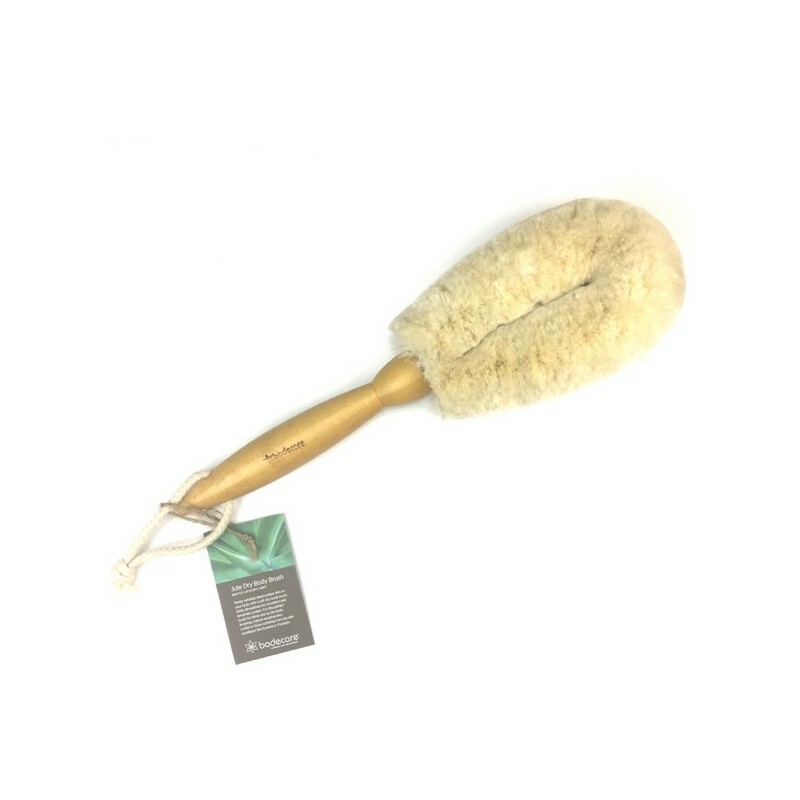 Soft jute bristle body brush used to gently exfoliate dead surface skin on your body, drain the lymphatic system and increase circulation. A great choice for those new to dry brushing and are sensitive to touch. Plant fibre brush and timbre handle. A wonderfully soft brush for sensitive skin or those new to dry brushing! 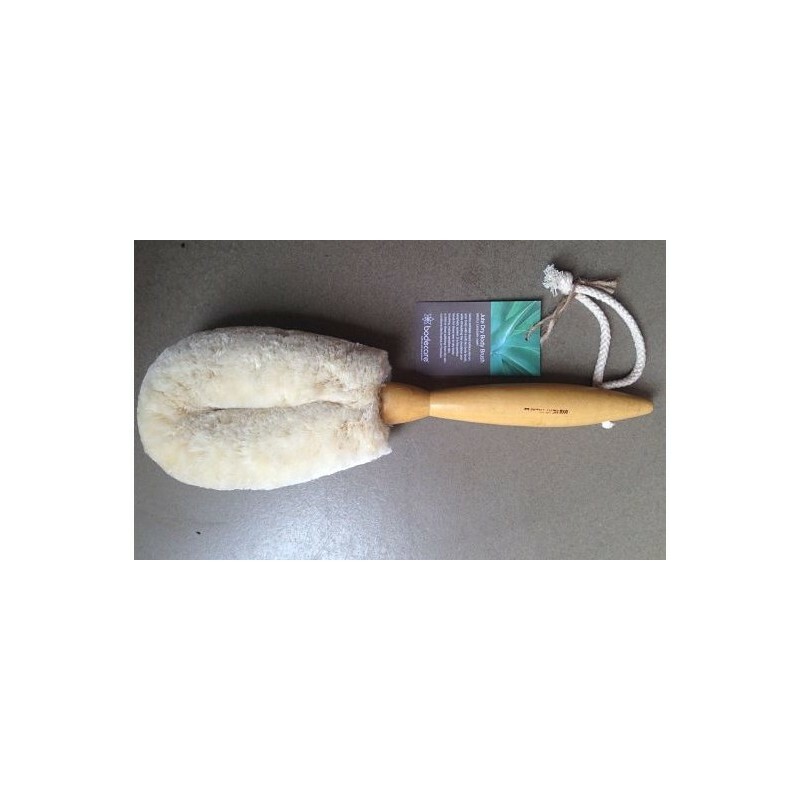 This is a wonderfully soft dry body brush used to gently exfoliate dead surface skin on your body, while still being stimulating enough to move lymphatic waste and increase circulation. 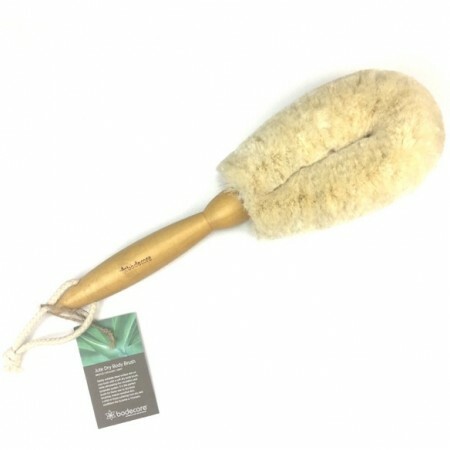 It is a fantastic brush for those new to dry brushing and are sensitive to touch, e.g. children, mature skin types, people suffering from dry skin conditions like eczema, psoriasis. The long fixed handle is curved for easy access to the back and shoulders. The bristle is made of Jute plant fibre which is extremely good quality, it was made ethically and complies with the highest environmental and hygienic standards. what is body brushing with a dry body brush? Dry body brushing is a technique used to exfoliate and cleanse your skin, promoting a healthy and glowing appearance. It has excellent health benefits including increased circulation, cellulite reduction, smoother skin and, importantly, body brushing detoxifies the lymphatic system. Precautions: Never brush over inflamed areas e.g. open wounds, inflamed sores, varicose veins, sunburnt skin, active cancer states, enlarged lymph nodes. Perform on Dry Skin only. This will provide the best stimulation and exfoliation. When plant bristles are wet, they go soft and clump together. Use a soft bristle for the face, neck, decolletage and bikini areas. Generally stroke upward in one movement using light strokes and repeat 7 times. Adjust pressure to your comfort levels. A slight reddening of the skin (erythema) is normal, it is the blood circulation responding to the skin brushing. Shower or bath immediately after body brushing to refresh the skin and wash away exfoliated cells. See our video demonstration with more details on how to body brush plus a bristle strength guide. Spritz with a spray of diluted organic tea tree oil after each dry body brush to reduce risk of bacteria in bristles. Wash with hot soapy water once a week, pad excess water into a towel and leave to dry in a well ventilated area. Allow brush to dry completely before using again. Do not leave in a damp area, the bristles will mildew. Browse our other body brushing and body scrubs ranges. I got it as an alternative to plastic sponges. Should have got the smaller one. It was geavy and rough. But didnt use it as much as i hoped too so probably wont try other one. Ensuring its correctly clean did worry me and i not ready to commit to another.